Dislikes: We love this headphone! Shure’s new SRH1840 headphone reveals how committed the venerable microphone company is to producing high-quality accurate headphones. Since it created the SRH line a few years ago, each new flagship model has upped the accuracy. The latest version of the SRH headphone series, the SRH1840, priced at $699 retail has been designed to such a degree that it seriously challenges high-end headphones that cost considerably more. The SRH1840 contains 40-mm neodymium drivers that are tuned to get the great accuracy, especially in the bass. The drivers are also contoured for an extended high-end response without too much presence. 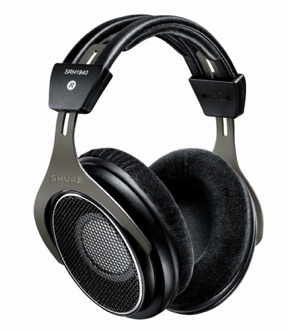 As Shure’s flagship headphone, premium parts and materials are used on the SRH-1840, including high-grade aircraft aluminum yokes, all-steel driver frames, lightweight headband materials, an oxygen-free copper cable and Kevlar reinforced cable jacket to assure the cable does not break at the maximum stress point. The headphone weighs less than .6 of a pound. **The SRH1840 comes with a nice vinyl case equipped with 1/8th-inch to /1/4-inch adapter, an extra cable and replacement earpads. The Shure folks sure don’t skimp on their headphones. Thankfully, Shure has allowed the bass of the SRH1840 to be much more natural in response. It does not have a heavy midbass boost. 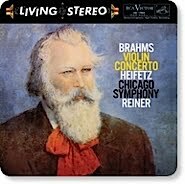 To me that characteristic is key to its accurate sound. Spec-wise, frequency response is listed as 10 Hz to 30 kHz with no tolerance listed. Typically, real world bass response of headphone drivers extend to 50 Hz. 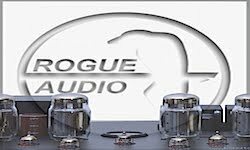 It’s hard to get true low bass out of a small driver that is not housed in a big box. Thus, in order to give headphones an audible sense of bass, many manufacturers increase the mid to upper bass response (80 to 200 Hz) so that the listener actually hears bass. How much of the midbass bump is added, depends on the manufacturers intended design. Thankfully, Shure has allowed the bass of the SRH1840 to be much more natural in response. It does not have a heavy midbass boost. To me that characteristic is key to its accurate sound. The midrange is dead on as well — with just a hint of presence boost. 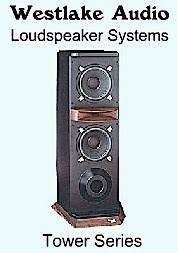 Others specs worth noting include a rated sensitivity of 96 dB SPL/mW @1 khz. Impedance is 65 ohms. 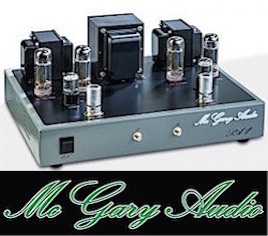 I reviewed my SRH1840s with several headphone amps including the Benchmark DAC1 PRE, the Benchmark stand-alone H1 headphone amp, a Lavry DA10, the headphone amp section of AVA FET/Valve preamp, as well as a number of handheld recorders and a Trident/ORAM console that I use extensively for home recording. I compared the Shure SRH1840 to other headphones I had on hand, including AKG K701/702, Sony MDR-7510, Ultrasone HF 2000, as well as the Shure SRH940 closed-back ‘phone. Sources included SACDs and DVD-As via the Oppo BDP-95 player, digital downloads from HD Tracks and numerous high-res 24-bit recordings of my own guitar recordings — jazz guitar and acoustic guitar. To break in the SRH1840, I plugged into a CD player, popped in a CD, keyed in repeat, and let it play continuously for three days to loosen up the drivers. Right off the bat, the Shure’s spacious, wide and deep sound stage impressed me, but the key aural ingredient was the bass accuracy. No midbass humps and boomy thickness that often pervade headphones these days — just a relatively flat low end that does not distract from the music. This kind of clean bass allows you to hear deeper into the music for pleasure listening, or deeper into a mix if you are using them for tracking recordings. For example, the 1995 Natalie Merchant Tigerlily DVD-A cut, “Beloved Wife,” has a prominent electric bass line that many headphones over hype making the bottom end too muddy. On the Shure ‘phones, the bass is noticeable, like on my reference speakers, but never gets in the way of the song. It sounds like an electric bass instead of a Hip-Hop car stereo war. Initially, this bass accuracy might make music sound brighter than some listeners expect, but after listening for awhile you really appreciate the clarity of the midrange and the high-end — without the distracting bottom-end mud. I found the Shure SRH 1840s to work well with all kinds of music, including all sorts of vocal arrangements, Classical, Jazz, and Pop. Classical violin was rendered with a smooth, yet present, top end, and I could easily hear the string overtones on 24-bit recordings. With my assortment of handheld and portable digital recorder/players, the Shure SRH 1840 was an ideal mate. They are not hard to drive. I used the headphones extensively with my TASCAM DR-100 high-resolution, handheld-recorder, and even my gain-challenged Yamaha Pocketrack W24 portable recorder/player could drive the Shure to adequate levels. Versus the AKG K701 or the K702, the Shure matched up very well. The AKG’s have a wee bit of midbass bump compared to the Shure, but it is not extreme. Both headphones have the ultra-detailed upper end presentation. 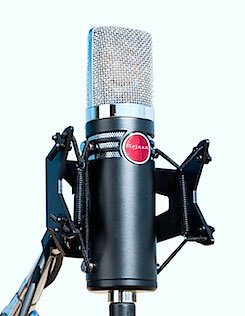 The AKG may have an edge in smoothness, but it is really close. The AKG is as comfortable, but bigger. The lightweight Shure SRH1840 almost disappears on your ears. It has a fantastic feel on my larger ears and does not press against my glasses. 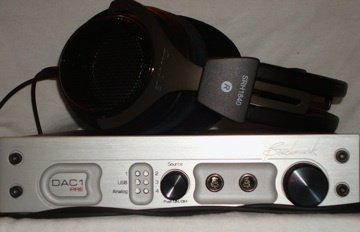 Since acquiring the SRH1840, it has become my go-to, open-back headphone for use with all my portable high-res players. I also use it extensively with all my home audiophile headphone-enabled equipment, home-recording master recorder and analog consoles. The Shure SRH1840 is not a low-cost headphone at $699, but neither is it high-end audiophile priced. The SRH1840 is very well made, and Shure should be commended for offering so many included accessories; a classy vinyl case, extra ear pads, the termination adapter and an extra cord just add to the perceived value of the headphone.I had no complaints at all with the SRH1840; it is comfortable, light weight, not difficult to drive and it looks thoroughly modern. Since it is an open-back ‘phone, it does not isolate the sound from external noise, but that is why we have closed-back phones. If you want isolation, try Shure’s SRH940. 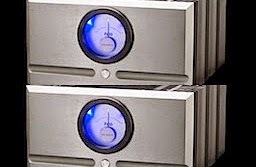 Its sonic signature is similar on the top-end, but it does have a more pronounced midbass — not excessive, but noticeable. The Shure SRH1840 is a terrific, high-end headphone that is moderately high-end in price at $699, but certainly not way out there. I have auditioned headphones in excess of $1,500 dollars that are not this clean. Since acquiring the SRH1840, it has become my go-to, open-back headphone for use with all my portable high-res players. I also use it extensively with my audiophile headphone-equipped gear, home-recording master recorder and analog consoles. Its accurate bass delivery, detailed midrange and treble make this headphone a no-brainer. Ditto for the Stellar Sound Award.